Berita dan informasi edisi viral di Malaysia. KOTA KINABALU: The Sumatran rhinoceros has no longer been sighted in Sabah, according to studies conducted at the Ulu Segama Forest Reserve and Tabin Wildlife Reserve in Lahad Datu. Sabah Minister of Tourism, Culture and Environment Datuk Christina Liew said the studies were collaborations between the ministry, through the Wildlife Department, with non-governmental organisations like the Borneo Rhino Alliance and the World Wide Fund for Nature(WWF), Malaysia. 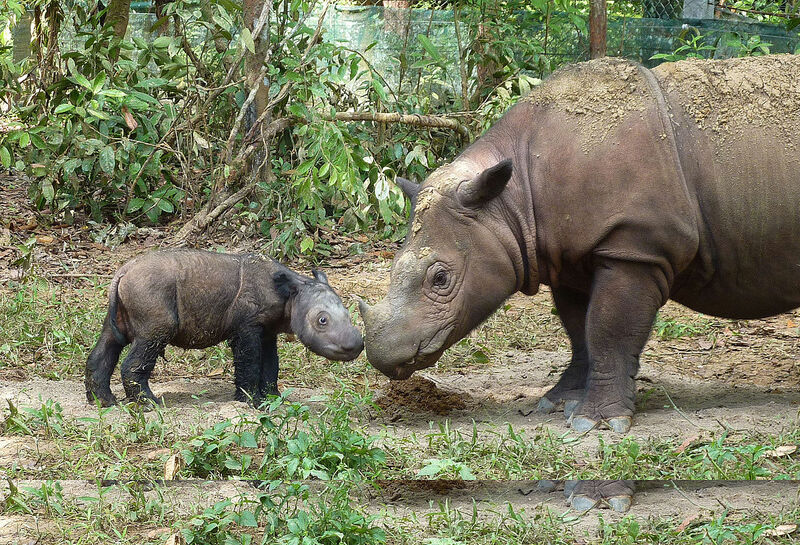 The studies looked at the population of the Sumatran rhinoceros in both areas as well as in the Ulu Malua Forest Reserve which were previously identified to have a population of these animals. She said the studies were started in1978 as part of a Faunal Survey of Sabahwas started and it is still on-going. Liew said among the methods used to detect the animals are forest exploration and camera traps. “However, these studies did not find any footprints of the Sumatran rhinoceros or record any photographs of them. This means that these areas no longer have a population of the Sumatran rhinoceros, she said at the Sabah State Assembly sitting here today. Liew was replying to a question fromCalvin Chong Ket Kiun (DAP-Elopura) who asked about a report of the findings of footprints of the Sumatran rhinoceros after 2016 and what steps have been taken about the habitat of these animals. Sumatran rhinos no longer seen in Sabah – Christina Borneo Post Online.